"Liberals want us to mourn and be angry or feel bad about commemorating our own cultural death," Rolo said. "Meanwhile conservatives blame us for our condition. Can you imagine having to sit around a Thanksgiving table with those folks telling us how to be while trying to digest a meal?" For an Indian, who is also a school teacher, Thanksgiving was never an easy holiday for me to deal with in class. I sometimes have felt like I learned too much about "the Pilgrims and the Indians." Every year I have been faced with the professional and moral dilemma of just how to be honest and informative with my children at Thanksgiving without passing on historical distortions, and racial and cultural stereotypes. He recommends the book, The Invasion of America by Francis Jennings. Traditionally, historians have thought of American society as a transplantation of European culture to a new continent—a "virgin land." 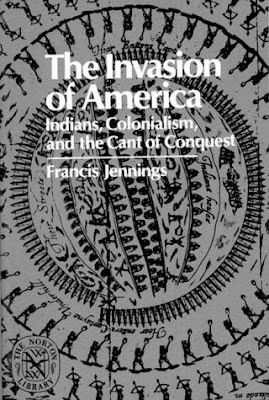 In this important and disturbing book, Francis Jennings examines the real history of the relationships between Europeans and Indians in what is ordinarily called the colonial period of United States history. From the Indian viewpoint, it was the period of the invasion of America. In Mr. Jennings' view, the American land during the period of discovery and settlement was more like a widow than a virgin. "Europeans did not find wilderness here," he writes, "rather, however involuntarily, they made one. . . . 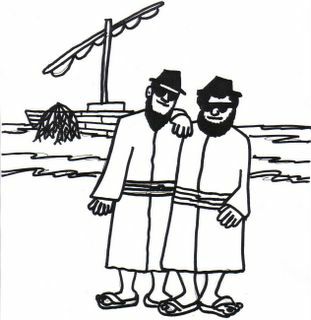 The so-called settlement of America was a resettlement, a reoccupation of a land made waste by the diseases and demoralization introduced by newcomers." Basing his interpretations on an enormous amount of hitherto unused ethnographic and anthropological literature, Mr. Jennings summarizes what is now known about the Atlantic Coast Indians encountered by Europeans. He then concentrates on a single region, New England, as an illustrative case study. The result is a radically revisionist interpretation of Puritan history (both as the Puritans wrote and lived it) in relation to the aboriginal population. Now the time has come! Hear us, Lord of the Sky! And they shall say, "It is she who supports us."